The absolute supplement for physical and mental exertion. Creatine is an endogenous (made by the body) substance that is present in every human cell and also can be found in many foods mostly meat, eggs, and fish. It functions as an energy storehouse. Creatine stores high-energy phosphate groups in the form of phosphocreatine. Phosphocreatine releases energy to aid cellular function during stress (the kind that your body suffers during hard training). When you work out the (energy) ATP levels tend to fall, but creatine can provide enough extra ATP to refill your muscles reserves and help them perform work, while it also reduces general fatigue. That means you can perform more reps and lift heavier weight, which can quickly translate into greater muscle growth. That mechanism is the reason that creatine is used by athletes to increase both power output, strength and lean mass. 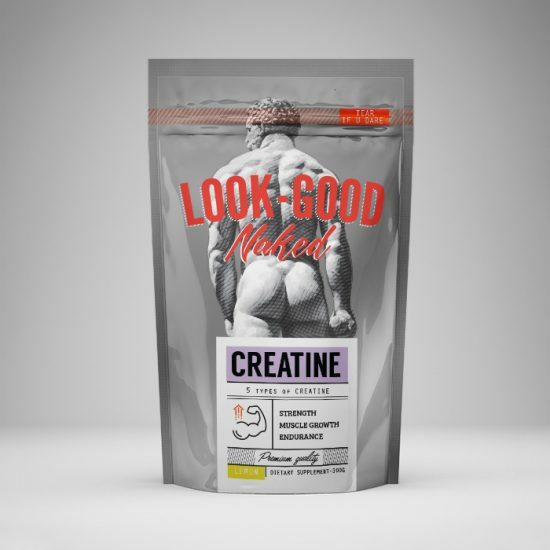 Moreover creatine is an “osmotically active substance”, it pulls water into your muscle cells, which can trigger an immediate anabolic response, increases protein synthesis and gives fuller appearance to your muscles as well. Our blend of 5 different types of creatine is designed to improve absorption and enhance creatine’s ability to pass along cell membranes. Having higher concentration of creatine in the muscle, strength power and performance are significantly enhanced.